CO Ben Huener (Roseau) worked with local deputies on a case involving a deer shot at night. Multiple charges are pending for two individuals. The law and ethics portion was presented at Warroad’s Firearms Safety Class. Assistance was given to a Federal USDA wolf trapper at a local calf depredation site. Bear bait sites were monitored in the first couple days of legal bear baiting. CO Demo Regas (Blackduck) reports working angling activity, boater AIS compliance on special regulation lakes, ATV, OHM and ORV activity and the start of bear baiting activity throughout the week. A TIP call of angler’s possibly taking over-limits pan fish was investigated and assistance was given to the sheriff’s office locating a female who became lost on an area snowmobile trail. Enforcement action for the week included fishing license and ATV registration violations. CO Jeremy Woinarowicz (Thief River Falls) worked with a COC checking bear baiting activity and area ATV trails. He also checked local anglers and investigated a possible gray wolf depredation. Enforcement action for the week included angle without valid license, possess small amount of marijuana, possess drug paraphernalia, place bait for bear without valid license, and various ATV and WMA violations. Thief River Falls #2 – vacant. CO Tom Hutchins (Crookston) reports checking anglers and watercraft operators on area lakes and rivers. Public water access sites were also checked. Time was also spent attending a district meeting in Detroit Lakes. Some fish over-limit violations were found. CO Dan Malinowski (Fosston) monitored off-road vehicles, ATVs, angling, early goose hunters and began to get more fall hunting questions. He responded to litter, wetland draining, lake alterations, sick/dead coyotes and bear vs. dog concerns. CO Tim Gray (Bagley) checked bear baits, finished a wolf complaint and checked anglers. CO Brice Vollbrecht (Bemidji) completed phase one of field training with a COC. Time was spent monitoring angling and boating activity. A complaint of a fence across a public water was investigated as well as boulders placed in front of an access on a public lake to prevent individuals from landing boats. A meeting was attended in Detroit Lakes. CO Brian Holt (Bemidji) primarily patrolled OHV trails during the week. Many OHVs were encountered including some horseback riders. Officer Holt also checked bear baiting activity. A district meeting was attended and time was spent preparing for an upcoming firearms safety class. Enforcement activity for the week included OHM violations. CO Chris Vinton (Perham) reports completing reports and site inspections for a case that involved an ATV rider that fled into the woods and a case where several hundred feet of bulrush were removed from an area lake. CO Vinton attended a meeting in Detroit Lakes and conducted patrols for boating safety. CO Al Peterson (Osage) attended a district meeting and a trapper education class in Park Rapids. Angler and boating safety checks were completed on area lakes. CO Gary Forsberg (Pelican Rapids) spent the week checking fishermen, working AIS and working boat and water safety. Activity was high on area lakes over the weekend until heavy rains moved in Sat. night. Time was spent following up on weedroller violations, shoreline alteration complaints, PWC complaints and a complaint of a tree that blew down on an area access onto several vehicles. CO Angie Warren (Detroit Lakes) worked angling and boating activity on area waters. CO Warren attended a TEP meeting at the Becker County SWCD and a district enforcement meeting. Boaters were checked and information provided in regards to AIS regulations. Follow up was conducted in regards to possible wetland and public waters violations. Early goose hunting activity was monitored. Water Resource Enforcement Officer (WREO) Joe Stattelman spent the week working on Aquatic Invasive Species (AIS), Wetlands Conservation Act (WCA) and Public Water (PW) cases. Time was spent monitoring AIS law compliance. He attended a WREO meeting at Camp Ripley and a District 2 meeting. Required training was completed and submitted. CO Troy Richards (Fergus Falls) reports angling activity remains steady with some fine catches observed. Reports of people shooting geese along lakeshore properties were received. Richards along with CO Plautz spoke at the MN Waterfowl Association’s Woodie Camp at the Prairie Wetlands Learning Center. A meeting was also attended in Detroit Lakes. CO Tricia Plautz (Henning) worked fishermen and boaters throughout the week. A district meeting was attended in Detroit Lakes and several calls were answered regarding the upcoming deer and waterfowl seasons. CO Paul Nelson (Elbow Lake) focused enforcement efforts checking fishermen, boaters and goose hunters. Calls have been handled regarding the deer season regulations, ATV’s running on the Central Lakes Trail and illegal work in wetlands. Nelson worked with the local SWCD, NRCS and LGU on the illegal wetland cases. A district meeting was attended in Detroit Lakes. CO Shane Osborne (Evansville) checked fishermen, boaters and ATV operators. Osborne received calls in regards to a property line dispute with a private landowner and a DNR aquatic management area during the early August goose hunt. One complaint was taken of goose hunters trespassing on private property. When the assisting deputy asked the hunters why they were trespassing when they were told by the landowner the night before that they couldn’t hunt; they replied they thought the landowner was not being truthful about who owned the property. CO Mitch Lawler (Alexandria) worked the TIP trailer at the Douglas County Fair meeting lots of outdoor enthusiasts and answering several good questions. Fishing activity remains steady with lots of good reports. A routine fishing check resulted in an angler being 17 sunfish over limit after all the fish were counted, both frozen and alive. Boating activity and AIS enforcement work was also completed. CO Jeff Johanson (Osakis) continued to work fishing, boating, and AIS enforcement on and around area waterways. A man was caught and cited, again, for fishing without a license (the second time in eight months.) The same man was also cited for hunting deer without a license last fall. A few goose hunters were checked over the weekend and follow up work was completed on a public access and possible water pollution issue. Johanson spent an evening manning the Wall of Shame TIP trailer at the Douglas County Fair. A lot of positive public contacts were made and many questions were answered on a variety of topics. Most of the week was spent attending a use of force pistol instructor course at Camp Ripley. CO Daniel Baumbarger (Glenwood) reports enforcement efforts for the week included checking fishermen, ATV operators, and monitoring B&W safety compliance on area lakes. Additional time was spent on water appropriation enforcement, checking goose hunters, attending an area meeting, and completing required training. CO Gary Sommers (Walker) focused on sport fishing, boating, AIS, and ORV activity. Nothing unusual to report. He assisted Leech Lake Tribal CO with removal of an abandoned boat and received information regarding illegal use/access of a state trail. He assisted Cass County with a call of an unoccupied boat on Leech Lake. The owner of the boat had towed a canoe and kayak to the mouth of a river and anchored the motorized boat, as the river was only navigable with a non-motorized craft. CO Mark Mathy (Cass Lake) primarily checked anglers and boaters. Some time was spent checking for early bear baits. CO Mathy also started training a COC. Enforcement action was taken for operate boat with a passenger riding on the bow, no throw device, no fire extinguisher, slow/no wake violation, and invasive species violations. CO Duke Broughten (Longville) spent the week focusing on angling, boating, ATV, and bear baiting activity. Angling success was moderate. Opening of bear baiting brought few bear hunters to the area. CO Broughten fielded calls concerning nuisance beaver, new ATV regulations, and the 2014 deer season. CO Broughten also responded to a disagreement between a property owner and boaters operating on a local lake. Enforcement action included no angling license in possession, operate watercraft without required navigation lights, and operate ATV on public highway. CO Jeff Halverson (Staples) worked ATVs, boaters and fishermen. Halverson gave a law talk at Verndale and Leader FAS classes. Contacts for youth without helmets on an ATV. CO Colleen Adam (OHV Recreation Officer – Park Rapids) patrolled state forests and OHV trail systems and encountered the beginnings of unlawful cross-country travel by ATVs to place bait for the upcoming bear season. Please respect the state forest classification when utilizing the public land. State forests classified as “Limited” require operators to stay on designated trails and roads. Assistance was provided on the road right-of-way outside the Brainerd International Raceway. AIS inspectors turned a boat away from one access only to have it show up at another access without proper decontamination; investigations continue. WREO Shane Siltala staffed the TIP Hall of Shame trailer at the Douglas County Fair. Many hunting and other related questions from the public were answered. He also continued to follow up on current aquatic plant violations. Lakeshore owners are reminded that any destruction of emergent vegetation or vegetation control with an automated device requires a permit. He also attended a WREO meeting at Camp Ripley. CO Darrin Kittelson (International Falls) reports finished up ATV Instructor Training with US Border Patrol. Rest of week was spent in court with a fishing case from last fall and Ontario moose case. Bear baiting calls were handled as were other animal complaints (wolf, deer, and bear). Fishing activity on Rainy Lake continues to be busy with cooperative weather. CO Troy Fondie (Orr) reports monitoring angling and boating activities over the week. Fishing remains very poor with little observed being caught. Forest roads were checked and public access sites monitored. Computer work is ongoing. CO Brad Schultz (Cook) reports checking on fishing and boating activity throughout the week. The weather was nice and a few bass and pan fish were biting. Calls related to the upcoming hunting seasons were returned. CO Don Bozovsky (Hibbing) worked anglers, boaters, invasive species enforcement and ATVs. He also responded to ATV and PWC complaints and worked Lake Vermilion. The officer assisted the State Patrol with traffic control on a semi blocking two lanes of traffic and the Hibbing PD with two juveniles huffing substances in a city park. The officer arrested an individual with a gross misdemeanor arrest warrant, while working out of the boat. A frightened weasel was seen imitating a flying squirrel and took a jump off the edge of a 20 foot bridge. Enforcement action was taken on angling license and invasive species violations, ATV and state trail violations, and numerous boating and personal watercraft violations. CO Matt Frericks (Virginia) spoke at a Chamber of Commerce meeting in Virginia about new laws, the upcoming deer season and common violations and appeared in court to testify concerning a boating violation. With nice weather, area lakes were busy over the last weekend. Violations such as operating unregistered watercraft and insufficient PFDs were encountered. Loud boat complaints continue to come in from numerous lake shore owners on Lake Vermilion. CO Frericks met with several owners of loud boats and tested their exhaust systems after they had them worked on to make them quieter. CO Frericks urges owners of loud boats to contact him and arrange to have their boats tested with the decibel meter to find out if their boat exceeds the limits. CO Mark Fredin (Aurora) worked a Lake Superior detail out of Two Harbors/ Silver Bay area with violations of no Minnesota angling license or trout stamp found. Fredin worked a boat and water detail in the vacant Ray station on Kabetogama and Namakan Lakes with WREO Arhart. Bear baiting activity was checked into. International Falls # 2 – vacant. CO Darin Fagerman (Grand Marais) worked a Lake Superior detail with Officer Guida and checked bear baits during the week. The CO took complaints on hunters and guides coming in and baiting where bait had already been set by another hunter. He checked remote inland designated trout lakes by ATV. He also took reports of active wolves killing a couple of dogs, killing some chickens and attacking a calf during the week all in the same vicinity west of Grand Marais. Enforcement action was taken for dumping fish guts into the lake and for cleaning a fish with size restrictions on the lake. CO Anthony Bermel (Babbitt) worked primarily angling, boating, ATV, and AIS enforcement, along with working early bear baiting activity. A shift was worked on Lake Superior out of Duluth with other officers resulting in several violations including angling without a trout stamp and extra line. Four people from Pennsylvania were contacted fishing on Birch Lake, one using an extra line. The offender said they had not received a regulations booklet. He received a citation as encouragement to know the laws in whatever state he is fishing. In another instance a shore angler was checked on a remote lake without a license in possession. A short time later she was seen leaving the area without her fishing partner. Upon checking her on ELS she had not purchased a license for several years, but within minutes the fresh purchase showed up on her file. The officer awaited her arrival and issued a citation for fishing without a license. Other enforcement action included ATV registration and transfer violations, OHM violations, no PFDs, and a public access parking violation. CO Sean Williams (Ely) focused most of the week on remote lakes within the Superior National Forest. Excellent weather meant higher than average canoeing and camping activity in the midweek. Violations included angling with no license in possession, and storing a watercraft at a public landing. CO Mary Manning (Hovland) attended LOCKUP instructor training at Camp Ripley. The training will be used to enhance the safety of DNR Enforcement officers through the teaching of arrest and control techniques during future in-service trainings. The officer also patrolled Lake Superior and its boat accesses with CO Posner. CO Thomas Wahlstrom (Tofte) attended an advanced firearms instructor training at Camp Ripley. The Officer checked bear bait stations, ATVs and anglers. CO David Schottenbauer (Silver Bay) worked are anglers on inland lakes, and Lake Superior. CO Schottenbauer started working on bear bait stations as well. Time was spent on area ATV trails monitoring activity. CO Randy Patten (Northome) checked anglers and boaters, patrolled for illegal ATV activity, worked on a littering case, and spoke at the Island Lake Association meeting. Enforcement action was taken for allowing a juvenile to illegally operate an ATV. CO Jayson Hansen (Bigfork) checked anglers, worked boating enforcement, ATV activity, OHM activity, and patrolled for early bear baiting. Violations included ATV on roadway, OHM on roadway, fail to display registration, operate unregistered, and DUI. He also did follow-up on a fire in Koochiching County and handled various wildlife calls. CO Mike Fairbanks (Deer River) started field training with instruction with a COC, checked anglers, worked bear baiting activity, monitored OHV activity and participated in a K-9 demonstration at the Itasca County Fair. The area wild rice crop looks to be on the down side this year. Enforcement action was taken for minor consume while operating a motor vehicle, no motorcycle endorsement, improper display of registration and no tail lights. CO Sarah Sindelir (Grand Rapids) checked lakes for boating and fishing complaints. She also checked the local rice crop, which isn’t ready yet on most lakes. She attended a firearms safety training class where 24 students were certified. She also took a complaint of pollution in the Prairie River which turned out to be oily substance of organic nature caused by decaying plants and insect casings in the water. Enforcement action was taken for several angling and boating violations. CO Thomas Sutherland (Grand Rapids) worked angling activity in the area with most fishing bites slowing down with the warm water temperatures. Enforcement action was taken for angling without a license, operating an ATV on a county road and a complaint where ATV’s were making new trails on state land. CO Sutherland also handled nuisance bear calls, but all complaints have stopped since the bear baiting season has started. CO Gary Lefebvre (Pengilly) worked fishermen, watercraft, ATVs, state parks and campgrounds. He also responded to various complaints during the week. CO John Velsvaag (Region 2 ATV Officer) reports checking several complaint areas including parts of the Mesabi Bike Trail and some state forest lands with illegal ORV use. CO Velsvaag also completed several training sessions and attended a trails meeting. Water Resource Enforcement Officer Tony Arhart (Grand Rapids) worked aquatic invasive species, sport fishing, ricing, bear baiting, and equipment maintenance. Arhart also attended a Water Resource Enforcement Officer meeting at Camp Ripley, followed wetland and public waters cases, and worked boat enforcement details on Big Winnie and on Namakan lakes. Ricing outlooks are poor in the area. Some walleye and perch fishing success were observed. Enforcement action was taken for angling license and for boat equipment violations. A 27 inch walleye was observed caught and released on Winnie. WREO Mike Scott worked with division personal in interviewing new candidates for the CO Prep Program. A meeting with all Water Resource Enforcement Officers (WREO) was attended. Officer Scott attended the Carlton County Fair in Barnum where a booth was staffed with the Minnesota Sea Grant folks to educate and discuss AIS issues with fair goers. CO Andy Schmidt (Brookston) completed ATV instructor training with the US Border Patrol. Time was also spent answering questions regarding upcoming deer season. ATV complaint areas were worked. CO Randy Hanzal (Duluth) spent time on the water enforcing safe boating regulations. Several boater were contacted and cited for either no or insufficient life jackets. A few recreational boaters were also cited for failing to comply with laws designed to slow the spread of invasive species. Seems some occasional watercraft users either haven’t been getting the word or just not taking these rules seriously. Reports of wolves chasing and in some cases killing calves were reported. A person called to complain about a bear that had been tearing down her bird feeders. This person was instructed to remove the feeder or expect the bear to return. CO Jeff Humphrey (Cromwell) reports working boating, angling, OHV, and AIS enforcement throughout the week. CO Humphrey worked boating enforcement on local area lakes and a detail on Lake Superior with the Marine Unit. Several calls, complaints, and questions were received about upcoming hunting seasons and ATV operation. Angling license, trout stamp, boating equipment, and OHV violations were encountered. CO Scott Staples (Carlton) worked mostly invasive species and boating enforcement over the past week. With nicer weather, there was lots of activity. Enforcement action was taken for angling without a license, angling without license in possession, insufficient PFDs, operating without required lights, angling with an extra line, and other equipment violations. There was good compliance with the invasive species laws. Other enforcement action was taken for operating ATVs and OHMs on the highway. Time was spent at the Carlton County Fair answering questions from several residents. Several hours of annual computer training was finished. Sgt. Keith Olson (Marine Unit) checked anglers and boaters on Lake Superior. Lake trout have been the staple around the Duluth end. Salmon are starting to show up in the Silver Bay area. He assisted Hermantown Police Dept. with burglary in progress calls in separate areas of the city. Assistance was also given to the St. Louis Co. Sheriff’s Office with an auto crash and locating a reported intoxicated driver. Heavy rain pushed all boaters off the water on Sunday afternoon. Officer Matt Miller (Marine Unit) spent the week with a COC. The officers checked anglers and boaters on Lake Superior with several violations found relating to extra lines and trout stamps. Fishing success is increasing around Two Harbors and Silver Bay with more salmon being caught. Officers also worked the Silver Bay area ATV trails. Activity and violation rates were both low. ATV riders are reminded to complete ATV Safety training before riding an ATV if they were born after 7/1/87. Enforcement action taken for angling and ATV violations. Officer Troy Ter Meer (Marine Unit) worked AIS, angling, boat and water, hunting, and ATV enforcement during the week. He also started training a COC. Enforcement action was taken for AIS violations. CO Amber Peterson (McGregor) reports attending an advanced firearms instructor course at Camp Ripley, working area lakes and checking bear baiting activities. CO Bob Mlynar (Aitkin) completed wolf depredation paperwork, picked up a dead eagle and did follow up on an aquatic plant/waters issue. Illegal camping on a Wildlife Management Area was also addressed. Time was also spent working bear baiting, fishing, boating and aquatic invasive species. CO Jim Guida (Brainerd) worked sport fishing and boating enforcement. Officer Guida worked with another Officer on Lake Superior. Enforcement action was taken on an individual who had filleted a salmon on the lake and discarded the entrails into the public water. Officer Guida also received a report from a local ATV club member of the theft of a portable outhouse from the Sebie Lake public shelter/rest area. Officer Guida encouraged the individual to also report it to the Sheriff’s Office. Anyone with any information regarding the theft should call the Crow Wing County Sheriff’s Office at 218-829-4749. CO Randy Posner (Brainerd) worked on fishing enforcement this last week. The bite is getting better the walleye and northern have been more cooperative. The most active fish have been the bass. Violations he found were no license in possession. He worked on Lake Superior checking anglers, violations found were no license in possession expired registration and no flares. Enforcement time was spent on boat and water issues no lights after sunset and insufficient PFD violations were found. He worked with AIS inspectors on Lake Superior and on Gull Lake checking boats for violations. Some of the violations observed were aquatic vegetation on trailers, plugs and water in the boat during transport. Complaints of litter and illegal camping in the Pillsbury Forest were investigated. CO Patrick McGowan (Pine River) started phase two field training a COC. The officers investigated a wetland complaint, weedroller violations, checked numerous anglers, and worked several days at BIR enforcing ATV traffic. Enforcement action was taken for numerous ATV violations. CO Mike Lee (Crosslake) assisted with field training of new a COC. Officers patrolled the Whitefish Chain monitoring boating activity. Enforcement actions were taken for boating safety violations, and watercraft registration violations. Officer Lee and the COC worked the Lucas Oil Nationals held at Brainerd International Raceway. Officers patrolled OHV traffic around the track area. Enforcement actions were taken for OHV safety violations, registration violations, and assisting the Crow Wing Sheriff’s Dept. and MN State Patrol. Officer Lee also attended the Soulis Advanced Firearms Training Instructor Course held at Camp Ripley. The information received will be brought back for use in the division’s Use of Force Program. CO Greg Verkuilen (Garrison) worked local lake activity which included good numbers of bass getting caught. He also patrolled ATV traffic, assisted at the Game Fair booth, and checked for compliance at bear baits. CO Chris Tetrault (Isle) assisted with the CO Prep hiring program at Camp Ripley. Wahkon Days was attended with the Wall of Shame. The officer also assisted at the kids fishing contest for the city. Bear baiting began and the officer monitored bear baiting sites. CO Scott Fitzgerald (Malmo) reports checking fishermen out on Mille Lacs Lake during the week and weekend. A few nice keeper walleyes were seen along with some perch and bass. Boat and water safety related equipment was also checked on watercraft on Mille Lacs Lake. A fishing-related TIP was investigated and further follow up will be done on this case. A few bear baiters were checked on some area county and state land over the weekend and a call of an injured bird was handled. ATV activity was monitored throughout the Malmo Station. A complaint of a wolf taking cattle was investigated and a controller zone was opened and a state trapper was brought in to take care of the nuisance wolf. Lots of big game, boating, fishing, and ATV law related questions were fielded throughout the week. Aquatic Invasive Species enforcement was also done around the Mille Lacs Lake area during the week with a high compliance rate seen. The Officer also assisted with Wahkon Days kids fishing day and in spite of the rain a good number of kids showed up and participated in the event. Enforcement action for the week included various fishing, boating and ATV law related violations. CO Dan Starr (Onamia) met with a couple local farmers that have had bear issues in the past. Bear hunters are calling with questions. Boat and water patrols were worked, with some PFD violations found. An adult passenger of one boat became hostile towards Officer Starr when one child received a Safe Boater Award for wearing a PFD, while other children did not have their PFDs on. Unfortunately, numerous children had to observe behavior that was unwarranted. CO Eugene Wynn (Pine City) spent the week following up on wolf depredation complaints where wolves had taken both sheep and cattle. He checked local state forests for activity, spent time checking anglers, and took numerous nuisance animal calls. Bear baiting started with a warm weekend and plenty of bugs in the woods. CO Wynn reminds hunters that off-trail travel is not allowed to bait bears during August and September. Enforcement contacts included juveniles without helmets on ATVs, operating on county roads, and no safety certificates. CO Luke Croatt (Wealthwood) started the second phase of training with a COC. Officers patrolled Mille Lacs Lake during the week. Time was spent working ATV activity and checking for bear baiting activity. A cormorant was found walking on Hwy 47 near Isle. The cormorant was picked up and released back to the water were it appeared to be normal. The officers also taught the law portion of a Firearms Safety Class at Wealthwood Rod and Gun Club. The students were also given the opportunity to view a patrol vehicle and some of the equipment used by Conservation Officers. Enforcement action was taken on fishing, boating and ATV violations. CO Chad Thesing (Albany) worked, goose hunters, boat and water, anglers, wetland and shore line enforcement. Thesing assisted with interviews of new conservation officer candidates at Camp Ripley. Enforcement action for the week included, no PFD, no angling license, over limit crappie, no lights on boat, operate Jet Ski after hours, BWI, and no fire extinguisher. WREO Keith Bertram spent the week working AIS and conducting follow-up on wetland violations. Citations were issued for no water appropriation permit, failing to comply with restoration orders, AIS violations, no angling license, and no PFDs. An AIS presentation was also given at the Big Birch Lake Association annual meeting. CO Brian Mies (Annandale) checked anglers last week. CO Mies gave law talks at the Annandale and Eden valley firearms classes. CO Mies also worked on tip calls. CO Rhonda Friese (Long Prairie) assisted DNR Forestry with a TIP complaint of unlawful burning at a business. Investigations continued on APM and WCA violations. Beaver complaints continue to come in. Bears are still snacking in people’s yards. Not everyone had learned that “living with bears” means discouraging them from being attracted to your yard. CO Caleb Silgjord (Sauk Centre) monitored angling, boat and water activity and conducted aquatic plant management permit inspections throughout the week. CO Silgjord handled a nuisance beaver complaint and attended an area lake association meeting. CO Silgjord also assisted with the CO PREP interviews at Nelson Hall. Violations for the week included failure to display ATV registration, insufficient PFDs, no angling license in possession, no fire extinguisher, and youth ATV passenger with no helmet. CO Todd VanderWeyst (Paynesville) worked angling, turtle trapping and goose hunting activity. Catfishing in the area is very good right now with some large catfish being seen. Administrative tasks were completed as well. Follow up on carp shooters violations continue. CO Mitch Sladek (Big Lake) worked fishermen on the Mississippi River between Elk River and St. Cloud where fishing has been slow. He checked goose hunters in the area. He assisted with a number of nuisance beaver issues. He worked at the St Croix River bridge detail. CO Rick Reller (Buffalo) completed step one of the field training process with a COC. CO Reller checked early goose hunters and found most were having a hard time locating the birds or the timing was off for the field or waters they were hunting. The COC gave a FAS presentation to approximately 40 students in Rockford. Enforcement action was taken for hunting waterfowl with a shotgun capable of holding more than three shells, possession of a small amount of marijuana, making false application for license, angling without a license and no PFD in watercraft. CO Todd Langevin (Center City) reports a busy week on area lakes. The nice weather had many boaters and anglers on the water. Local accesses were worked for AIS violations. CO Langevin worked two days on the St. Croix River on the bridge project. Violations included no license in possession, fail to display registration and fail to remove drain plug. CO Travis Muyres (Cambridge) investigated a report of dogs chasing deer near Isanti. CO Muyres talked to several landowners regarding anticipated trespass issues this fall. CO Muyres also worked AIS enforcement. CO Steve Walter (Waconia) responded to injured great blue heron, sand hill crane and deer calls. AIS violations were investigated. A TIP call of goose hunters shooting at non-game birds was handled. 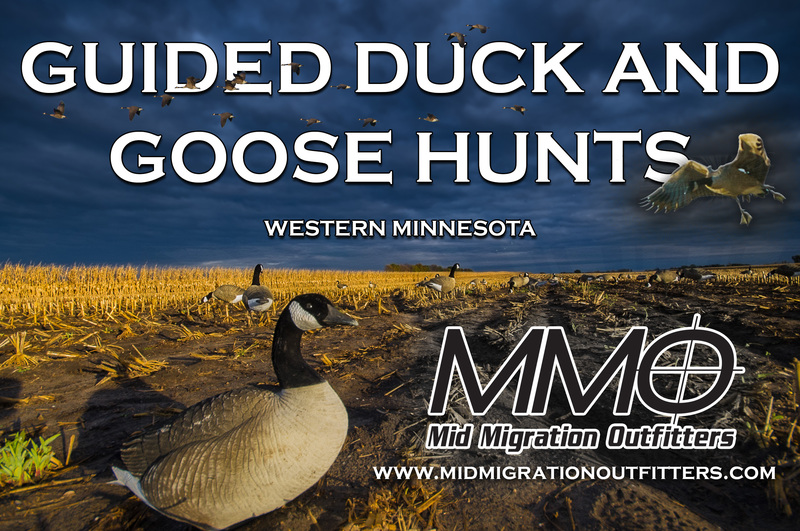 Goose hunters were having better luck with some wheat fields being harvested. A possible waters violation on Lake Waconia was investigated. CO Brent Grewe (Minnetonka) spent the week checking anglers and monitoring boating activity. CO Grewe followed up with complaints. Violations included license issues. CO Tony Salzer (Osseo) patrolled Hennepin and Anoka counties for angling activity. Salzer also patrolled for goose hunting activity in Hennepin County. Very little geese were seen flying earlier in the week with more flocks seen later in the week. CO Vang Lee (ELCOP) worked anglers and ATV activities in Scott County area lakes and trails. He worked boaters on Minnesota and Mississippi rivers with a neighboring Officer and talked to a Hmong youth firearms safety class at the Hmong Cultural Center in St. Paul. Officer Lee assisted during a firearms safety class field and range day and returned phone calls regarding animal complaints. He also answered many questions to the Hmong community on upcoming big game regulations. WREO Adam Block (Metro) spent the week working AIS activity and monitoring wetland related work in Washington County. A meeting was attended at Camp Ripley and a radio interview was completed with KFAN’s Outdoors segment. Calls regarding ATV use and nuisance animals were received. CO Brad Johnson (Ham Lake) spoke to a firearms safety class in Maplewood. He checked anglers and boaters during the week. CO Johnson also conducted AIS checks. He patrolled at Carlos Avery WMA, and checked on a trespass complaint there. CO Johnson took a call on deer fawns in Roseville. CO Vuthy Pril (ELCOP) checked anglers around the metro lakes and rivers and checked boats for safety equipment and registration. He handled miscellaneous animal calls and responded to a tip complaint of a possible small game violation. CO Scott Arntzen (Forest Lake) spent time patrolling area lakes and the St. Croix River for fishing and boating activity. CO Arntzen also patrolled Carlos Avery WMA, did AIS enforcement and assisted on investigating a public waters violation. CO Arntzen continued investigating TIP calls and issued a car-kill deer permit. CO Doug Lage (Lake Benton) reports that goose hunters are out with limited success. Boating enforcement was the activity of the weekend. Enforcement action was taken on boating and ATV issues. CO Gary Nordseth (Worthington) spent the week checking area anglers and boaters. The officer attended the Game Fair in Anoka. An injured owl was also transported to a raptor rehab center. CO Ed Picht (Montevideo) and a COC checked boats, fishermen, ATVs, and August goose hunters. Violations detected included registration, angling, boating and litter issues. An assist was given to local law enforcement in the detection and apprehension of an intoxicated driver on a local highway. WREO Larry Hanson (Southern Region) attended a WREO meeting at Camp Ripley. Public Waters and WCA cases were followed-up on. AIS and boat and water checks were completed on area lakes. Enforcement action was taken for a variety of boating violations. CO Jeff Denz (Willmar) followed up on a fishing TIP call and worked AIS and boating enforcement. He received questions about the early goose season and ATV laws. CO Jen Mueller (Hutchinson) continued completing roadside surveys during the week. A few Hungarian partridge and pheasants were seen. She took a report of late after sunset shooting during the August goose season. Mueller also answered questions on Emerald Ash Bore. CO Brett Oberg (Hutchinson) responded to a TIP call of taking waterfowl out of season. The suspects were located and dealt with. Oberg also had a busy week of ATV enforcement. Violations observed included no registration, operating on roads, youth passengers, and safety equipment. A firearms safety talk was given in Silver Lake and August roadside counts were completed. CO Thor Nelson (New Ulm) represented DNR Enforcement at the Basil Irwin Conference/Pistol Match and at two off-duty MPPOA Bullseye pistol matches. He investigated an animal damage complaint. Nelson also spent time on angling, boating, AIS, and ATV enforcement. Time was also spent on information & education activities. CO Eric Schettler (Fairmont) worked watercraft and angling activity. The Trimont firearms safety class was attended and education was presented regarding laws and regulations. The DNR information booth was staffed at Game Fair. A variety of questions were fielded to the public. CO Corey Wiebusch (Mankato) worked a detail on the St. Croix River. Time was also spent working anglers and boaters on the Minnesota River. CO Chris Howe (St. Peter) checked angling activity, and spoke on laws and ethics at a Firearms Safety class. Arrangements are being made for upcoming safety classes and All-Day Field and Range Days. CO Chad Davis (Owatonna) worked angling, AIS, ATV, and boat & water activity during the week. Assistance was given to a local Sheriff’s Office with a DWI arrest. The DNR booth was staffed at the Steele County Fair with numerous questions regarding AIS and the fall hunting seasons. CO Luke Belgard (Faribault) worked angling, ATV, and AIS enforcement. Some fish are still being seen on area lakes. The officer looked into a potential wetlands issue. CO Brent Ihnen (Waseca) spent the week checking anglers, boaters and ATV operators. Additional time was spent monitoring AIS compliance at area public water accesses. CO Ihnen also participated in the Basil Irwin memorial pistol shoot as well as a DNR and MPPOA state championship pistol match. CO Steve Chihak (Spring Valley) spent the week working angling, and recreational vehicle activity. A number of wildlife complaints were resolved. Requests from the public seeking information were returned. CO Scott Fritz (LaCrescent) reports the Mississippi is putting out lots of fish. Saw all species while checking anglers this past week. Trout streams are in excellent condition. Fall waterfowl and deer questions are coming on every day. Farmers are dealing with several nuisance beaver that have flooded their fields. Depredation permits are active on several farms where deer damage is high. CO Phil George (Rochester) worked the week checking anglers and watercraft users. A boat and water detail was completed and a firearms safety field day was set up. Enforcement action was taken for failure to pull the drain plug and various other watercraft issues. CO Kevin Prodzinski (Wabasha) reports working fishing and boating enforcement on the Mississippi River. Fishermen continue to have good success with sauger, walleye and catfish along with some pan fish being checked. Several long term investigations were reviewed and prepared for and a deer case was disposed of. CO Mitch Boyum (Rushford) reports working the canoe landings in the area checking for boat registrations and PFDs. Compliance was high as was activity. CO Boyum also attended the Basil Irwin annual pistol competition and training where Minnesota took top honors. CO Boyum received multiple calls on the upcoming deer season, crossbow permits and a few trespass issues. Bowhunter’s are encouraged to contact their landowners every year. CO Tyler Quandt (Red Wing) reports spending the week and weekend checking invasive species activity along with anglers and boaters. Time was also spent working with the county attorney’s office on cases from last deer season. Numerous river users are experiencing trouble getting around due to the low water levels. Some boating and fishing violations were detected. CO Tom Hemker (Winona) reports checking fishing, ATVs, and boating. There were many rattlesnake calls during the week including one where a person shot it with a BB gun as it went into their garage. Hemker checked a license of a person that was fishing on the border waters. The person showed him an application for a Wisconsin fisher permit. Hemker attempted to explain the difference between fishing and taking a fisher. CO Joel Heyn (Plainview) worked mainly anglers and boaters during the week. Several boat and water details were worked with various boating and fishing violations detected. Heyn also did some online training. NR Pilot John Heineman (Bemidji) took an annual low level wavier check ride and flight review. Heineman also gave telemetry training to a new CO Pilot and flew a Vermillion lake creel survey. Sunday’s flight over Vermillion was canceled due to weather. CO Pilot Jason Jensen (Brainerd) reports flying a pine marten telemetry flight in NE MN. Jensen also provided a transportation flight for two days. Numerous safety items were addressed during continued work on a new aviation safety system. Research on new aircraft was also worked on. NR Pilot Luke Ettl (Grand Rapids) flew a sketch mapping flight. CO/Pilot Chris Lofstuen (Bemidji) flew multiple creel surveys over Leech Lake and a lake restoration project was photographed. A flight was conducted for local law enforcement and a Fisher telemetry mission was flown. A training mission was also conducted with the Chief Pilot. CO/Pilot Robert Geving (New Ulm) flew sketch mapping flights, completing the yearly forestry survey, which monitors various diseases and parasites which affect the overall health to the states forests.